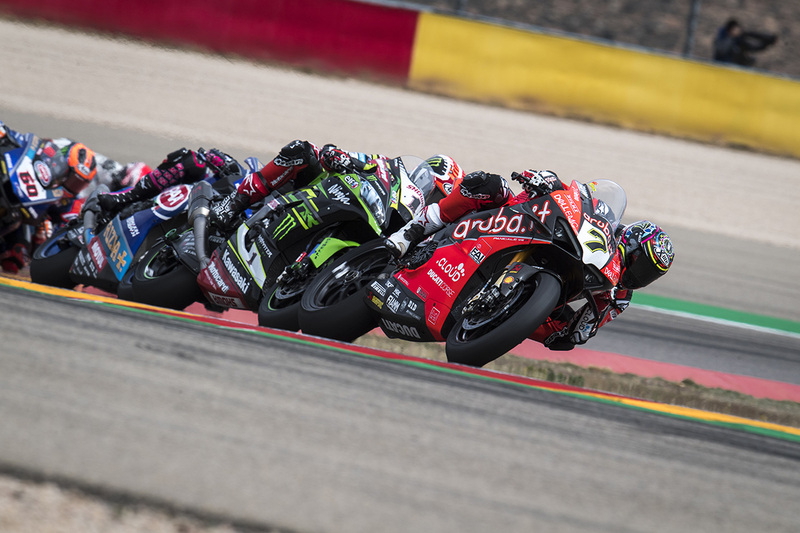 A wise man once said that ‘the key to success is hard work and determination’ – and luckily for us, Alvaro Bautista has these attributes in droves. The first two races of the 2019 season has seen this talented rider brake records & make racing history; this weekend was no exception. 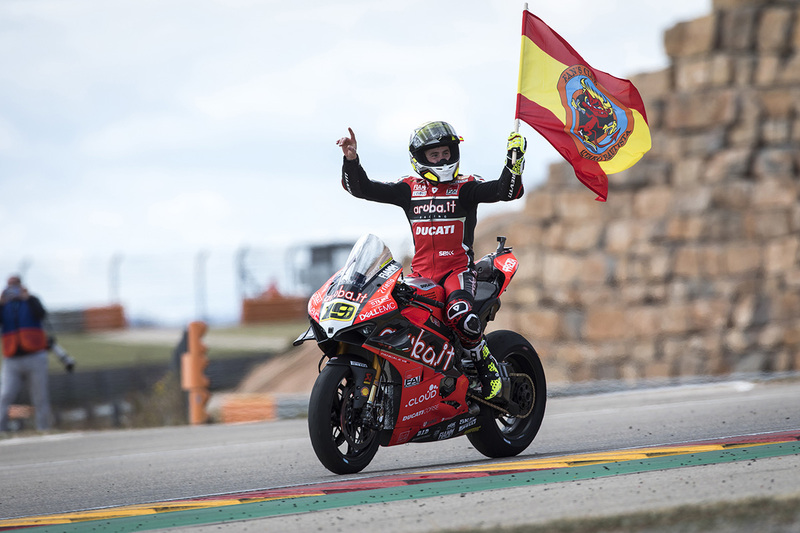 This was the big one – Aragon Spain, Bautista’s home turf. Straight off the bat, the seasoned rider displayed his determination to impress by being the only contender to break the 1.50 lap time in practise sessions. Team mate, Chaz Davies wasn’t far behind, securing 4th fastest however some unexpected rainfall hampered his efforts, leaving him 9th overall. Bautista dispensed with the Superpole leaving no room for any of the other competitors to come within spitting distance. A few hours later, the riders lined up for race one in front of a crowd which contained Alvaro’s family, friends and fellow countrymen. The pressure was on and this is where those aforementioned attributes paid off. Not only did Bautista lead from start to finish he also made history by being the first Spaniard to win the Aragon Motorland circuit! Chaz has had a bumpy start to the season but thankfully he found his feet in R3. Starting in the third row, Chaz immediately battled his way in to the chasing pack. Pushing hard, the Welshman made good ground with some impressive passes which landed him a podium place of third. For the first time this newly developed team could stand proud, together. 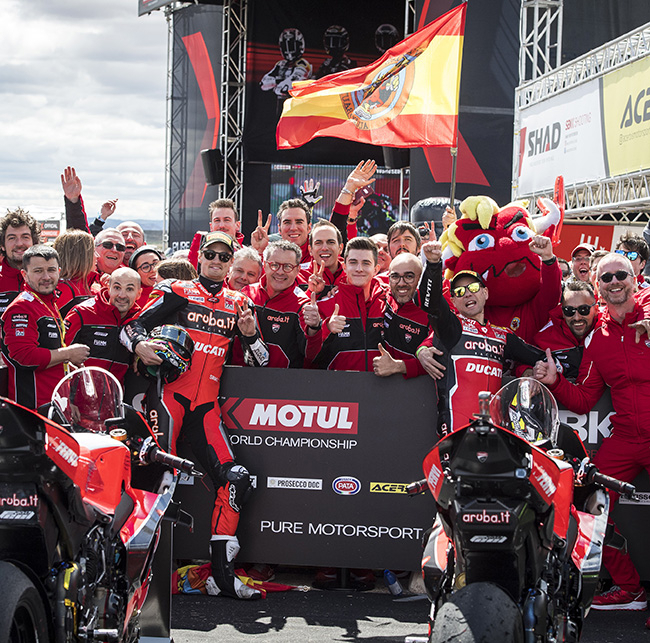 On Sunday, Alvaro added to an already extraordinary debut WSBK season by dominating both the Superpole and the 18-lap race 2; both won by a wide margin. 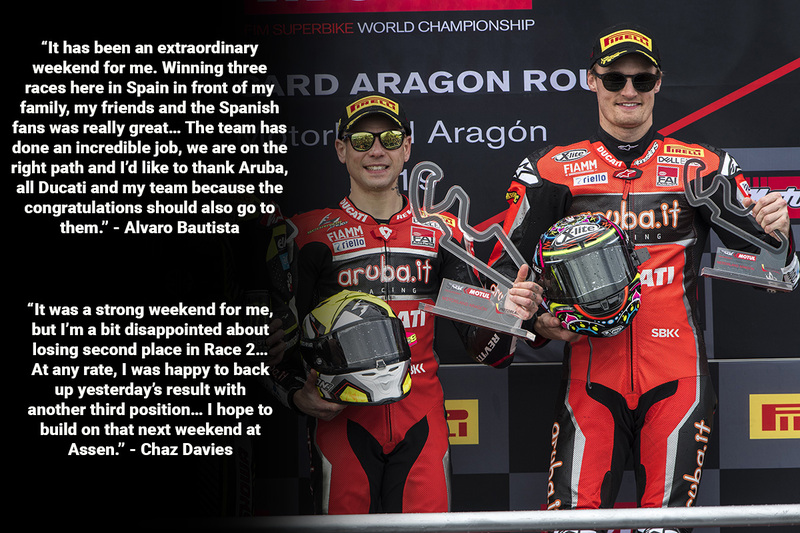 Davies also rode a spectacular race, almost coming second, if it hadn’t been for a small error on the final lap. As you can imagine, Chaz was a little disappointed missing out on second by such a narrow margin, but it was great to see him back where he belongs; with a trophy in his hands. There’s no rest for the wicked as round 4 starts in just a few days – Assen, Holland.